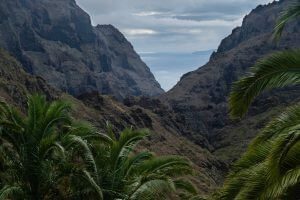 Tenerife has plenty of reasons to be an island worthy of admiration, which is why there are many tourists who during their visit go in search of hidden places. Precisely to enjoy the best views, there are viewpoints that, although they can be artificial, are usually natural places where landscapes can be observed in urban and rural environments. North, south, east, west … look where you look, every corner of Tenerife is special and magical. 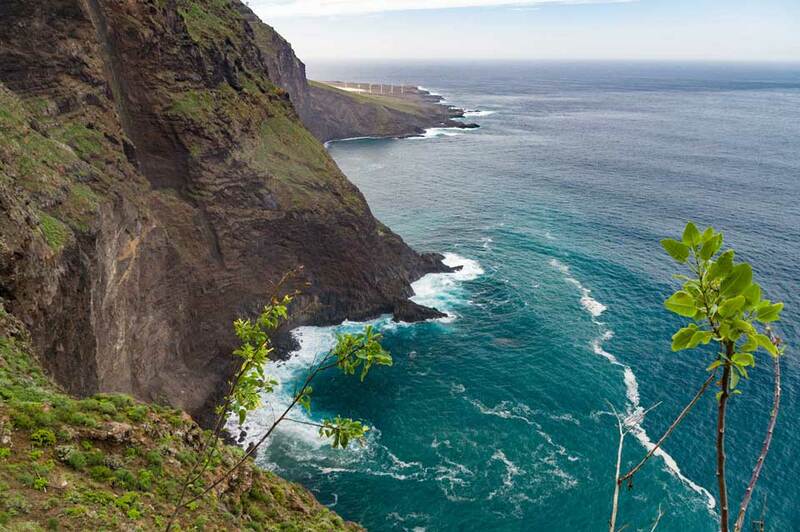 From West Tenerife, we know that we don’t need to convince you to come and visit the island, but we wanted to show you some of the best-known viewpoints in the northwestern area of the island. Monja Viewpoint: Located on the road that leads to Teno Bajo, the Monja Viewpoint forms a rock formation that results in a spectacular ravine overlooking the area of Buenavista del Norte and the South Sea. 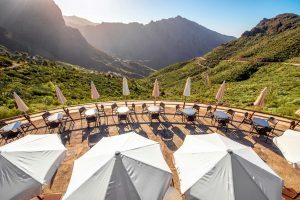 Cruz de Hilda Viewpoint: spectacular views of the Masca village that combine with large crops, palm groves and brooms. Located in the municipality of Buenavista del Norte, it has a coffe shop where to regain strength before continuing the journey. Rural Park of Teno: a natural place that includes the municipalities of Buenavista del Norte, Los Silos, El Tanque and Santiago del Teide. 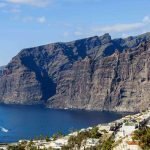 It can be seen from the majestic cliffs of Los Gigantes to valleys, low islands, ravines and modern architecture of the area. El Palmar Viewpoint: this viewpoint is cataloged as the ideal place to observe the constellations (with binoculars or with the naked eye). Thanks to its low light pollution, it can be observed several groups of stars, gas concentrations and interstellar dust, where the stars are born. At 600 meters above sea level, El Palmar is located northwest of the island, in the municipality of Buenavista del Norte. 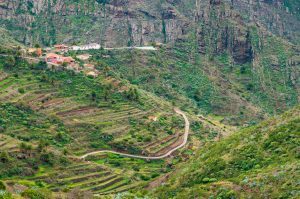 Altos de Baracán Viewpoint: located between Las Portelas and Masca, the difference in climate between north and south can be seen perfectly. Considered as a viewpoint with a lot of “life”, you can see part of Barranco Los Carrizales, El Palmar mountain and El Palmar Valley. The viewpoints are usually the ideal option to stop on our journey, stretch your legs and take a snack (in those that have a cafeteria). They are, for the most part, easily accessible, some have binoculars to see the landscape up close (as the case of The Gigantes Cliffs), parking area or furniture (such as maps or informative posters about the history or curiosities of the area in question). Look out! The viewpoints are usually located in high areas so, if you suffer from vertigo, you should think twice if you look too much, but you can miss the guinchos, very common in this part of the island. Another point in favor is that they are usually well signposted and, if you are a little clueless, you will notice that there is something “interesting” when you see a group of people gathered in a specific area. If you’ve been surprised by these viewpoints we’ve shown you, stay tuned, because this has only just begun. 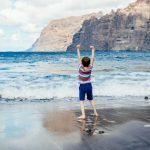 The west coast of Tenerife has an unparalleled richness that combines the beach and the mountains, ideal for those who are looking for an experience while on the island. We head towards the other side, the Giants, a must see destination where we can admire the magnificent cliffs of the Giants. 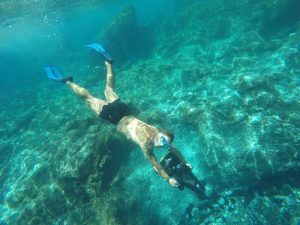 The best way to observe these rock formations of between 300 and 600 meters is through a day trip, as in addition to exploring the area, you can do a variety of water activities. 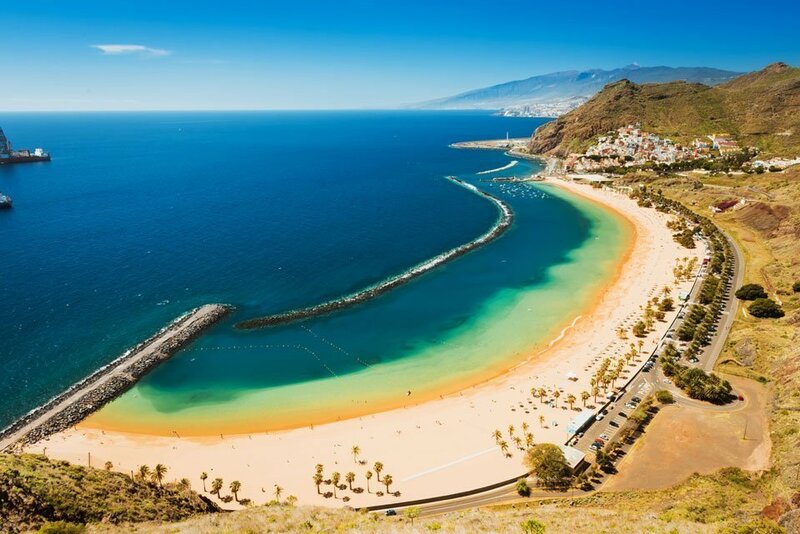 In West Tenerife we give you the opportunity to do a multi-activity tour where the fun is guaranteed: jet skiing, pontoon riding, paddle surfing, snorkeling…and much more. Once the activity is over, take the opportunity to taste the Canarian gastronomy in the municipality of Buenavista del Norte and take a good taste from the mouth of the Canary Islands. It is important to point out that if there is one thing about the islands, it is that they offer landscapes for all tastes: sea, land, air… whatever you are looking for, here you will find an incredible beauty that you will never forget.